Situated in Tokoroa, this bed & breakfast is within 1 mi (2 km) of Talking Poles and Dunham Park. Lake Moana-Nui is 1.4 mi (2.3 km) away. Situated in Rotorua, this motel is within 1 mi (2 km) of Ogo and Skyline Rotorua. Lake Rotorua is 2.6 mi (4.2 km) away. 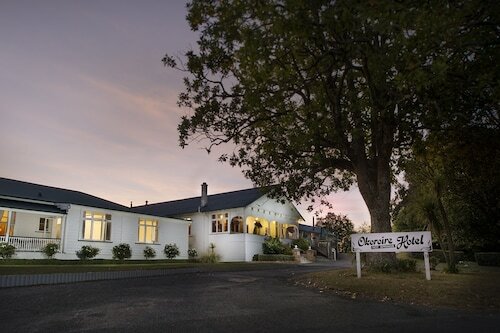 Situated in Putaruru, this motel is 5.4 mi (8.7 km) from Te Waihou Walkway and 8.5 mi (13.6 km) from Lake Karapiro. Hobbiton Movie Set is 18.5 mi (29.8 km) away. 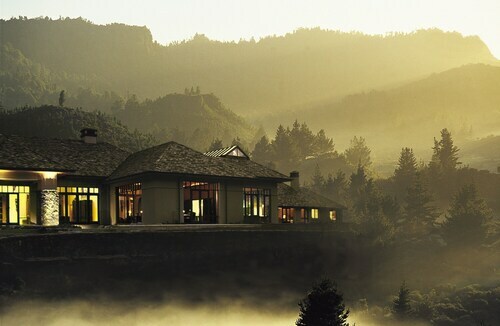 Located on a lake, this family-friendly lodge is within 12 mi (20 km) of Whakarewarewa Hot Springs, Tamaki Maori Village, and Polynesian Spa. Rotorua Central Mall and Rotorua Night Market are also within 12 mi (20 km). 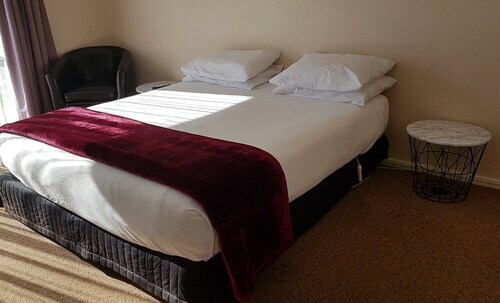 There isn't a wide range of hotels that are less than 10 kilometres from Tokoroa, so make reservations at your earliest convenience if you're planning on staying in a conveniently located Tokoroa hotel. The Alpha Homestead is popular as it's situated so close to the action in Tokoroa, a place not exactly overflowing with accommodation options. The Lake Maraetai Lodge is located 18 kilometres away from the centre of Tokoroa. The Okoroire Hot Springs Hotel is 30 kilometres distance away. After you've explored all the sights in Tokoroa, take the time to visit Waikato's other great offerings. Check out the old towns, war relics and monuments and cathedrals in Waikato, and enjoy the area's lovely beaches, coastal plains, forests and rivers. Visitors and locals alike in this region of New Zealand often enjoy mountain biking and mountain climbing. It's well known that we Kiwis just love to have a good time, so consider staying a little longer and check out the Huka Falls, Craters of the Moon and Wairakei International Golf Course, in Taupo, 55 kilometres to the south of Tokoroa. Should you wish to visit Taupo, check out the Hilton Lake Taupo and Lake Taupo TOP 10 Holiday Resort. Alternatively, you could stay in Hamilton, 70 kilometres to the northwest of Tokoroa, where you'll find the Manhattan Lodge Motel and Ascot Lodge Motel. While in Hamilton, you might like to visit the University of Waikato, Hamilton Gardens and Founders Theatre. If you're transiting into or out of Rotorua Regional Airport and are looking to stay nearby, try the Santa Maria Motel or the All Seasons Holiday Park. How Much is a Hotel Room in Tokoroa? 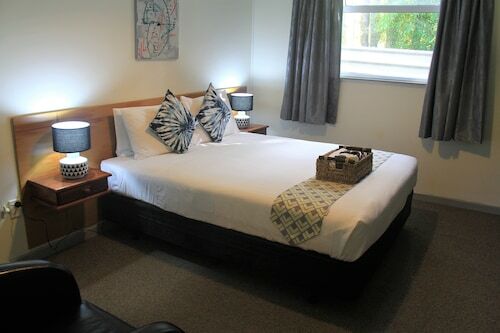 Hotels in Tokoroa start at NZ$96 per night. Prices and availability subject to change. Additional terms may apply. Beautiful setting. Loved the vintage decor. The hot pools were stunning. Breakfast was very basic.